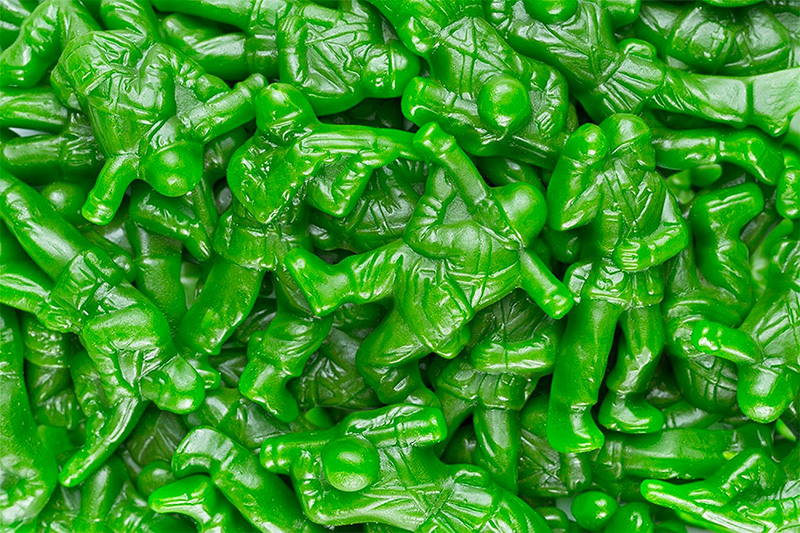 These gummy G.I.s will eventually make their way into your GI tract – but not before you spend some time playing with your food. 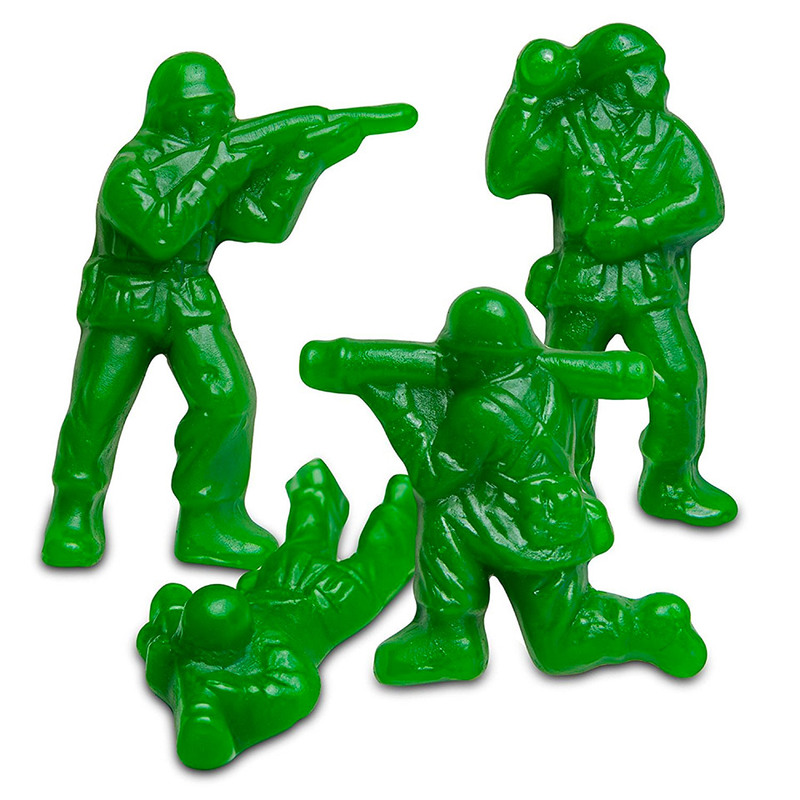 They’re green apple flavored, and come in four different poses. Sold in a jumbo size 5 lb bag.